At The Center for Holistic Dentistry, we practice an approach to preventive dental care that integrates the best of natural healing and cutting edge dentistry. Proper nutrition, good oral hygiene, and periodic dental checkups are the cornerstones of a proactive plan to preserve your health of your mouth for a lifetime. Your gums are one of the cornerstones of whole body health. Periodontal disease or gum infections can lead to all kinds of health problems including cancer, heart disease, strokes, low birth weight in babies, and can adversely affect people with diabetes. And even if it does not cause major or noticeable symptoms, it always affects your immune system and your inflammatory response. That’s why we emphasize the importance of your regularly scheduled hygiene visits. Without these visits, plaque buildup can turn into calculus or tartar, a hard mineralized layer that holds dangerous bacteria close to your gums and is a major contributor to gum disease. If you haven’t had a dental cleaning for a while, call The Center for Holistic Dentistry today. Your teeth – and your body – will thank you! 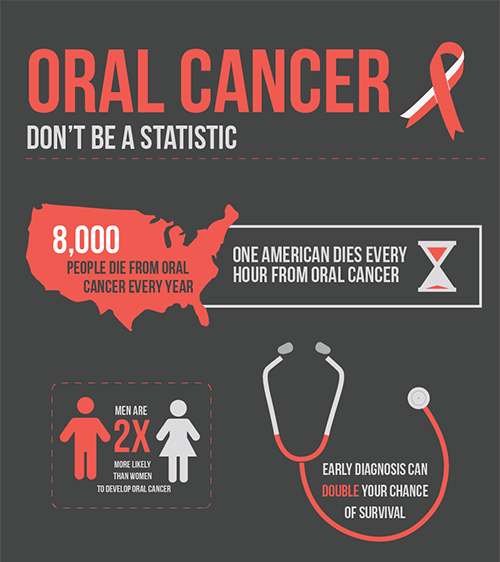 Did you know that oral cancer kills one person every hour of every day in the US alone? This is primarily not because it is hard to treat, but because it is found so late in its development. The Center for Holistic Dentistry has invested in VELscope® technology that allows us to differentiate between normal and abnormal tissue, earlier and easier than ever before. The sophisticated VELscope instrument will reveal any suspicious tissue inside your mouth. The light reacts with molecules in your cells, causes them to absorb the light energy, and re-emit it as a fluorescent glow. By utilizing special optical filters in the handpiece, we immediately see the difference between normal and abnormal cellular activity. The exam is quick and painless and allows us to screen for oral cancer with much greater accuracy and efficiency than ever before. Why risk your health? Ask about implementing the VELscope into your routine checkups. If you or your child is actively involved in a sporting activity, a dentist-designed mouthguard is a great investment in health. Standard mouthguards are difficult to wear and non-compliance is very common. What good is a mouthguard if you aren’t wearing it? Our custom-fitted, custom-made guards are so comfortable, you may want to wear it all the time. Properly fitted mouthguards help prevent concussions as well as tooth and soft-tissue injury. Protect your precious smile – ask us about sports mouthguards today! Do you grind your teeth when you are stressed or asleep? It can be hard on your smile, your health, and your budget. Grinding can not only lead to broken, worn-down teeth, it can also cause problems with your jaw joint (TMJ), cause headaches, and ruin any previous dental work you have invested in. We have a great solution with a MAGO (Maxillary Anterior Guided Orthotic). Unlike over-the-counter, boil-and-bite guards, this comfortable guard is custom-made to fit and protect your teeth properly. Use of a night guard can often lead to a diagnosis of the cause of your tooth grinding and point us in direction of a cure. Rising Oral Cancer Rates – Have You Been Screened? Fill out this form and a member from our team will get back to you ASAP on the following business day! Please call us at (914) 245-4041 or fill out the form below to request an appointment.